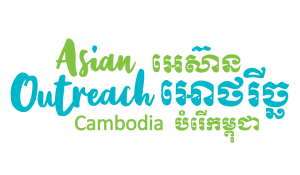 The overarching mission of Asian Outreach Cambodia is to restore hope and dignity to rural Cambodians by breaking the poverty cycle and we believe that The Hope Centre (THC) will act as tool today in helping achieve this goal and have in impact in North Eastern Cambodia. 2018 saw The Hope Centre playing a significant role as a base for equipping and empowering those living in the rural communities in Stung Treng with pertinent vocational skills, while at the same time facilitating opportunities for NGOs to meet and work together in the surrounding communities. Through our programs we have prepared locals to be employable for the economic development and growth anticipated in the near future and improve the capacity of those working in professional fields. The service will also serve those in the five surrounding provinces of Stung Treng. We have focused specifically on English, computers and teacher training. Additionally for 2018 we conducted mant leadership development programs equipping future leaders in a range of skills. For more up to date photos and events of what's happening at The Hope Centre - follow us on Facebook. Click the link . The Centre is a multi-purpose facility which runs regular vocational training classes and workshops. Filled with a fully equipped kitchen and dining room, air-conditioned boardroom, two large classes, a lounge and auditorium, this facility is ready to partner with you as you seek to restore hope in Cambodia as well. The Centre is also equipped with TV's, Chromecast, projectors and a sound system for you to use as you come and run your workshops. Catering and conference retreat packages are available on request. Interested in hiring our facility? Or are you wanting us host your next workshop or staff retreat? We offer a variety of packages , which can include both catering and accomodation, for teams, guest, NGO's, businesses and church groups. There's more information in our "teams and guests" link. However, we also want to help you by seeing how we can meet your groups specific needs. So contact us directly and we'll see how we can customize a package specifically for your groups needs. Contact us directly on the link below and we can see how we can customize a package for your needs.